Academia today has a problem regarding the needs of the modern-day scholar. Many academics want to network with their peers and be noticed within their community, but don’t always have the tools to do so. Academic Social Networks (ASNs), as we know them, are just libraries of published papers that focus only on encouraging researchers to upload their work, nothing more. This shifts the spotlight away from the individual, which weakens their online presence and stunts their ability to play a greater role within the academic community. Seeing a gap in academia when it came to social networks, Dr. Aviv Pichhadze looked to create a platform that could both work within the frame of academia, while adding to its prestige, giving scholars the ability to showcase their talents. He created Scholabrate, a networking platform for academics that strives to solve the problem they are facing, a lack of personal praising and networking. This helps the scholars create their own personal online brand while establishing their credibility and recognition in academia. With its user-friendly design, colorful icons, and interactive dashboards, this platform can work to maximize the scholar’s footprint all the while advancing their careers. The platform bridges the gap between research, collaboration, and networking by giving the academic power over their own careers. With its interactive profile page display, Scholabrate provides researchers a chance to shine by highlighting all of their achievements, including training, endorsements, mentorships and more, making insights about their academic works readily available. 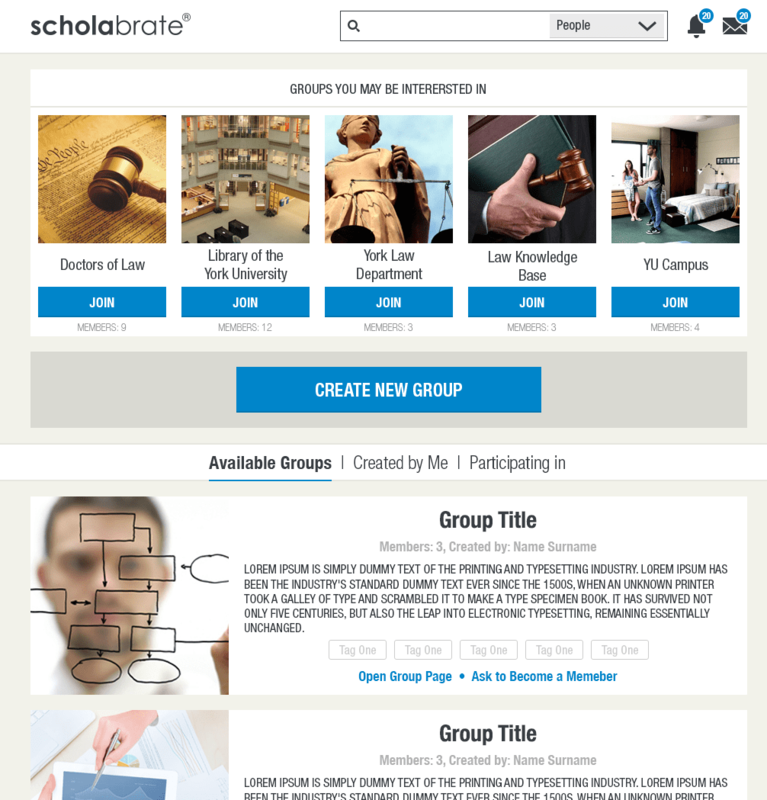 Scholabrate’s internal chat system ScholaTeam allows the academic the ability to network and collaborate in real time using video, file libraries, and other great features so they have time to work on more important things, like research and studies. Networking and collaborating with your peers is key to making it in academia. Scholaborate is the future of ASNs and what we need to provide the academic community with, in order to assist them in keeping up with the rest of the social networking world. This technology, with its user-friendly and interactive platform, will help expand academics professional circles, giving them the opportunities to meet and collaborate with fellow scholars in their field they wouldn’t have had the chance to connect with otherwise.